I have no idea where or when I first got this Scarecrow Chili Recipe, nor do I know exactly where the name comes from. What I do know is that the name gives an excuse for serving it during the month of October, especially as Halloween approaches. 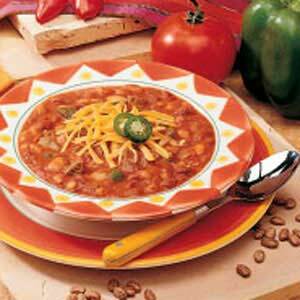 Restaurant customers thoroughly enjoy this chili - food with a hearty flavor - but not too spicy. 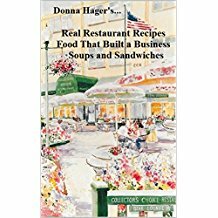 Just add a small salad and you and your guests will enjoy a complete and nutritious meal. Preparation time: 15 minutes. Makes 4 quarts - 16 servings. Note: For a vegetarian version, omit the meat and use vegetables such as potatoes, carrots, frozen whole kernel corn or frozen okra. And to make it a high fiber offering, use whole wheat pasta if you like that product. Enjoy your Chili and the company of those you share it with! 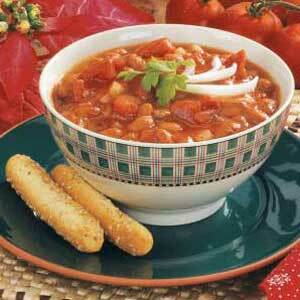 "Scarecrow chili is great to feed the little ones before treat-or-treating."